My kids love eating noodles. Every time we go out they would ask to eat udon noodles or stir fried noodles and we have to hunt for a noodle place to have our meal. With the rising prices of goods a plate of noodles like the one shown above can easily cost between $7 and $16 (not inclusive of taxes) when we dine out. Multiply that by the number of people we have at home and having a meal out can set us back by a minimum of $50-$120 each time. 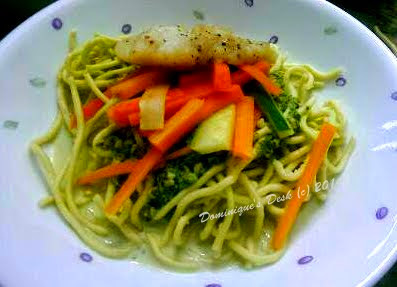 Instead of eating and buying noodles from the supermarket wouldn’t it be better to make your own noodles? Making my own noodles would allow me to control the amount and type of ingredients that go into the making of the noodle. I would be able to have fresh noodles for the kids and they wouldn’t be exposed (eating) too many harmful chemicals/ preservatives which would harm their health in the long run. I came across this noodle making machine on a website and decided to purchase it as it would allow me to make fresh noodles/pasta easily at home. The machine cost less then SGD$100 and came up to about SGD$110 including shipping from China. It is certainly a worthy investment as making 5 plates of noodles would only cost me the most $5-$10 which adds up to quite a bit of weekly savings. You just need to measure the needed proportions of flour and water, place it in the machine. The machine would automatically knead the dough and press out the noodles through your selected cutters. The process only takes 15 minutes and you have freshly made noodles to cook. I didn’t get it right on the first time as I used too much water and I got the proportions wrong. 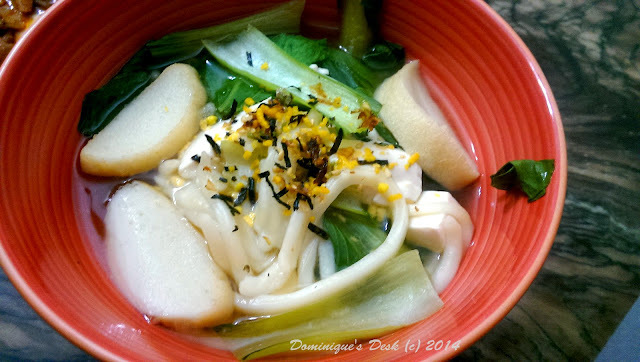 It took me three tries before I managed to make my first batch of edible noodles. Since then I have gone on to make the following meal for the family. There is a really wide range and types of noodles which can be made with the machine. Since I got the machine last month I have made egg noodles, spinach noodles and Udon. 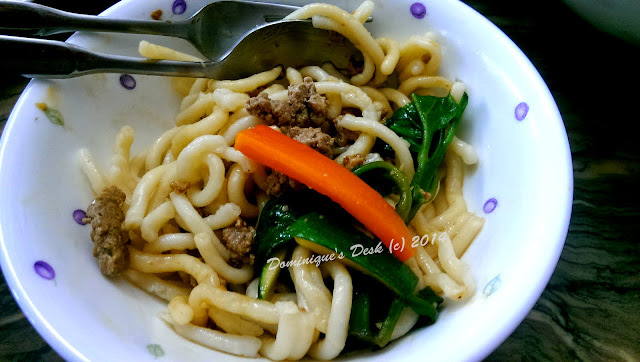 Fried udon noodles if you are looking for a quick meal. Next up I will be trying to make macaroni and other types of noodles for the kids. Do you kids love noodles too? These dishes look gorgeously delicious! It is Tuesday night, 3:29am here, and I need homemade noodles right now, darn it…yet my cooking skills are limited to making toasting and microwave dinners. Yes, lucky thing I have no children! lol! You are right, I dont know a kid that does not love his noodles!! This is amazing! And the machine can make macaroni too? Superb!!! Wow, that’s really cool! 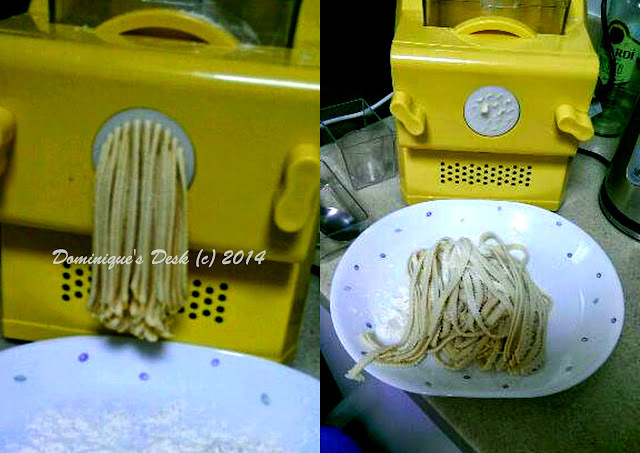 I wish I had my own noodle-maker, too, because my toddler also loooves noodles and pasta! I didn’t realize it until I saw this post. I am now officially starving. I’d like to try making my own noodles, too! Looks like fun! We all love noodles, and this looks great. We have a pasta maker too, but we are generally too lazy to make our own. When I was little my mom made some herself for soup, but we did not have a ‘fancy’ machine, so we just rolled the dough and cut it. My kids do love noodles. Your noodle dishes look delicious! 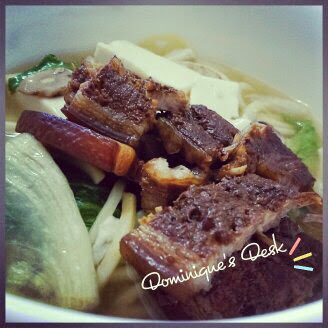 I think I’d try the Braised pork noodle soup first, while my girls would be all over the Udon soup noodles. We love noodles! It does seem like quite an awesome machine. Are the instructions in English!? What an awesome idea!!! Now I want a noodle maker!!! Yes, my children love noodles too! What a fun machine and how cool to be able to make your own noodles! It must be universal: kids love noodles. What am I saying? I love noodles too!!! Yum! This is a good buy. Daddy has already mentioned buying noodles machine. That would be fun and we can assure safety and freshness of the noodles. Also we can add vegetables to make the noodles even healthier. My son doesn’t eat spaghetti, but he super love noodles (bihon, canton, etc.). I think it’s useful and FUN to have such machine around the kitchen. Wow, the noodles look delish. It’s one thing if you can make your own noodles — fresh and you’re sure it’s really free of preservatives. Eating out can be very expensive in the US too. We try not to eat out too much. I haven’t tried making my own noodles, it sounds like too much work. Thankfully, noodles are fairly cheap at the store but you are right they are packed with chemicals and preservatives.